Known more for its charm, whimsy, and cuddly characters than for white-knuckle thrill rides, Walt Disney World nonetheless offers some exciting, scream-worthy coasters, and other attractions. And the most thrilling ride (as well as the ninth most thrilling ride) isn't even at one of the four theme parks. Use this guide to determine which rides are best for your thrill level—each one below is ranked on a thrill scale of 0-10, with 0 meaning "wimpy" and 10 meaning "yikes!" At 120 feet and with speeds up to 60 mph, Summit Plummet is one of the world's tallest, fastest water slides. Even though it is not a roller coaster and not even at one of the theme parks, this ride is, arguably, the single most thrilling attraction at Disney World. Even the heartiest thrill-seekers will test their mettle on Blizzard Beach's speed slide. Interestingly, Summitt Plummet may be Disney World's most thrilling ride, but it's not the most thrilling water park attraction in the area. Thrill scale: 9. Insane height and speed for a water slide. Thrill scale: Up to 7.5. The sustained G-forces can be unnerving; the simulated liftoff and flight are very realistic; the capsule is quite confining. 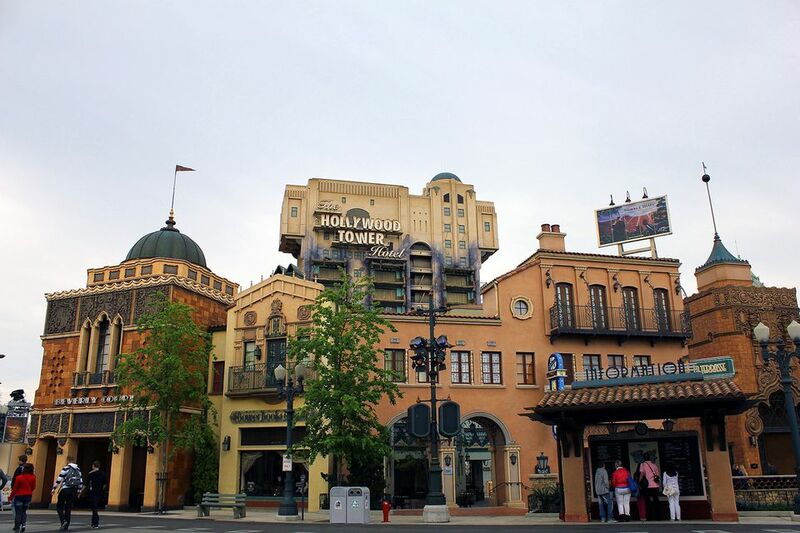 It's tough to say which is more thrilling aboard The Twilight Zone Tower of Terror: the random, multiple, faster-than-free fall drops and rises, or the freaky few seconds that passengers endure in the elevator shaft ​anticipating the drops that are about to ensue. In either case: yikes! Thrill scale: 7. Multiple free-fall drops and launches, sensations of weightlessness, psychological thrills. A launched ride, Rock 'n' Roller Coaster screams out of the station going from 0 to 57 mph in 2.8 seconds. That's plenty thrilling. It also is the only Disney world coaster to include any inversions. The classic-rock Aerosmith soundtrack adds to the thrills. Thrill scale: 6.5. Fast launch, inversions, darkness. It is both a roller coaster and a themed dark ride. In both regards, Expedition Everest is thrilling. Passengers spend part of the ride soaring backward through the pitch-black mountain. Now that Animal Kingdom is open later, nighttime rides on the coaster are especially wild. Thrill scale: 6. Fairly intense positive G-forces, backward coaster motion, darkness. It is one of Disney's classic rides and (along with its Disneyland counterpart) probably the world's most famous indoor coaster—and one of the most famous coasters of any kind. You might be surprised to learn that Space Mountain pokes along at a top speed of only 27 mph. But because it operates in the dark, it amps up the fear of the unknown and makes the coaster seem faster and scarier. Thrill scale: 5. More twists and turns than big drops. Darkness factor adds to thrills. It's a classic log flume ride (with one heckuva drop). And it's an animatronics-filled dark ride themed to the classic film, "Song of the South." You'll be charmed by the "Zip-A-Dee-Doo-Dah" post-drop finale—if you can brave the drop. Thrill scale: 5. One giant splashdown. It's actually a bit faster than Space Mountain. Because it is outside, however, Big Thunder Mountain Railroad feels slower and less thrilling. It boasts three separate lift hills, which makes it one of the world's longest coasters in ride duration. Thrill scale: 4.5. Mild coaster thrills. It is a "flying theater" ride like Disney's Soarin'. But unlike Epcot's fairly gentle travelogue attraction, Flight of Passage is more aggressive. The thrills are largely psychological because riders don't physically move all that much. It may be fair to say that the Avatar ride is more exhilarating than thrilling. Thrill scale: 4. Simulated swooping and diving.